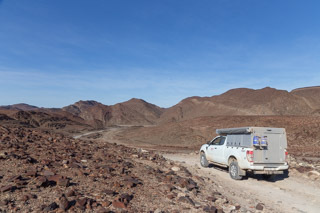 This self-drive 4×4 safari starts and ends in Windhoek. 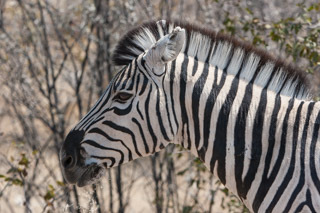 It explores Namibia’s Waterberg and the iconic Etosha National Park, passing through some of Namibia’s most spectacular and rugged scenery and offering the chance to encounter northern Namibia’s unique desert-adapted elephants. 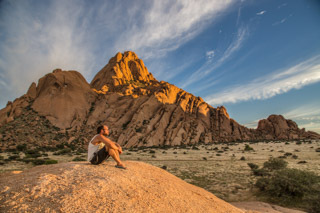 You’ll pass through Kaokoland, Damaraland, Spitzkoppe, Swakopmund and the Namib-Naukluft National Park, skirting the edge of the vast, red-duned Namib Desert. 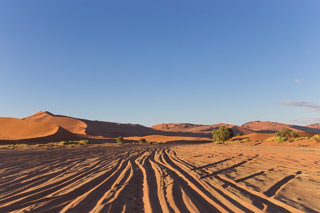 With an overall area of 49768 km2 the Namib-Naukluft National Park is the largest game park in Africa and the fourth largest in the world with sand dunes that tower up higher than any others on the planet. 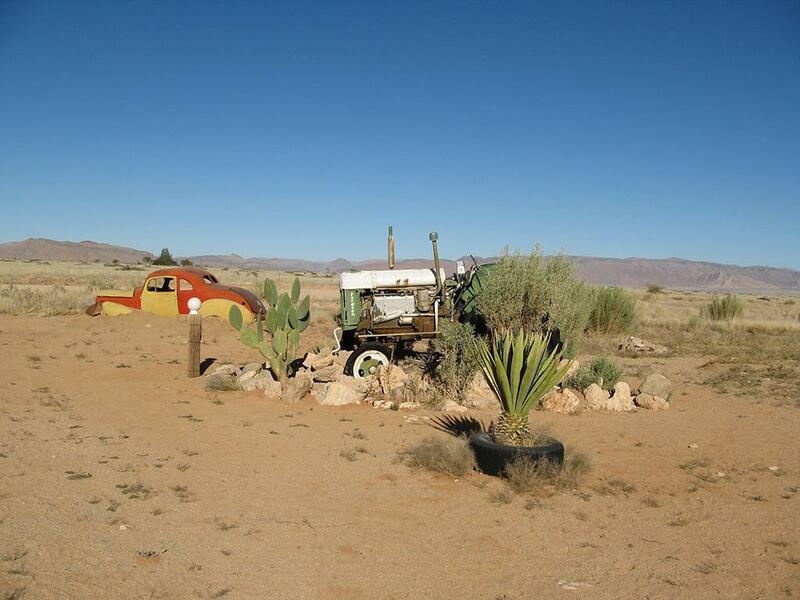 Cap off an incredible tour with a visit to the stunning Fish River Canyon, before returning to Windhoek and home. First night camping wild in the Waterberg. 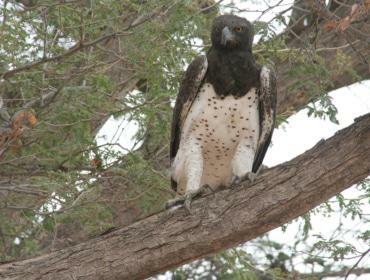 2 nights Etosha National Park. Rare desert elephant and rhino. The safari begins in Windhoek where you’ll collect your vehicle and do your shopping. 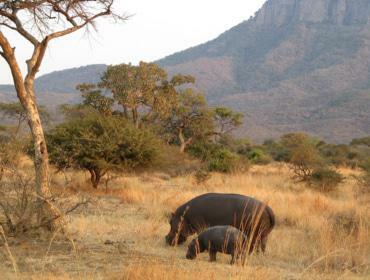 Your adventure will take you north to the Waterberg Plateau for your first night in an intimate bush camp with wide vistas 200m above the surrounding thornbush savanna. 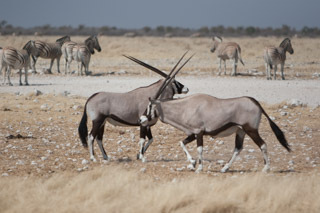 An easy drive into the eastern side of the world famous Etosha National Park, exploring the vast salt pans in search of seasonal birds, lion, elephant, black rhinos, oryx and giraffe. Rough roads fringe the vast white-green flats and if you’re visiting in summer you’re bound to see huge flocks of flamingos gathering in the shallow water. 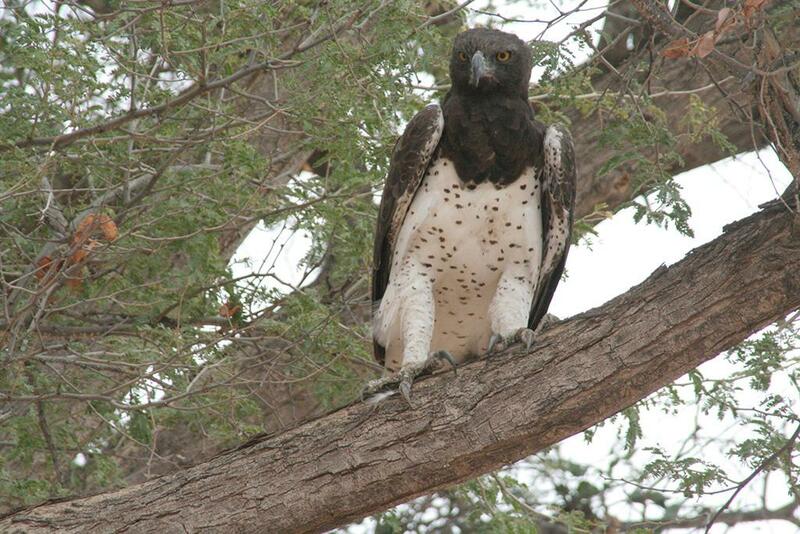 Day 2 is spent on a leisurely game drive heading west to the famous Okaukuejo waterhole and camp site. Continuing west in Etosha one exits through the Galton Gate. 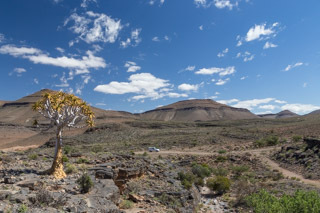 From here you’ll enter Kaokoland, one of the wildest and least populated areas in Namibia, with a population density of one person every 2 km² (1/4 of the national average). The most represented ethnic group is the Himba people who account for about 5000 of the overall 16000 inhabitants of Kaokoland. Your first night will be spent at a magnificent campsite just outside the Galton Gate. 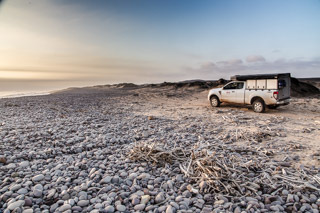 The next day is scenic drive through the Robbie Pass Gorge, which is one of Namibia’s best kept secrets, overnighting at a community Camp perched on the cliffs of the Hoanib riverbank. The following day you’ll travel down into Desolation Valley, entering via the Huab River and proceeding along the river bed where there is a very good chance of encountering the famous desert elephants. The views in this area are breathtaking. Overnight on the banks of the Aba-Huab River under the brightest stars you may have ever seen. 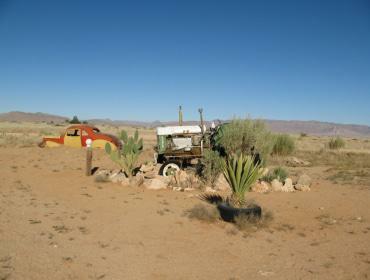 Day 7 takes you to Brandberg Mountain, famous for its 43000 rock paintings and as the highest peak in Namibia. In its stark surroundings, under the fierce African sun, this spectacular peak appears to smoulder against the landscape – earning its name the ‘burning mountain’ in both Afrikaans and in the local Damara language. Overnight at the foot of the mountain. As you drive south, you’ll pass through the blasted landscape of the Messum Crater, an ancient 18km-wide impact site that dates to between 132 and 135 million years ago. 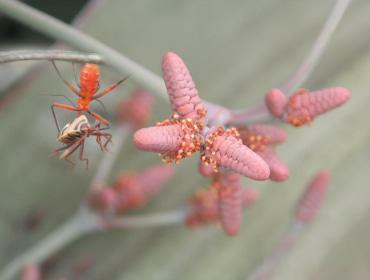 The crater is also home to the impressively hardy Welwitschia plant, some of which are as much as 1500 years old. Camp under the stars that night at the Spitzkoppe, the ‘Matterhorn of Namibia’, which is nearly 700 million years old. Arrival in Swakopmund, Namibia’s beach resort, holiday town and a fascinating example of German colonial architecture. Swakopmund was founded in 1892 as the main harbour for German South West Africa and is home to a small German-speaking community to this day. 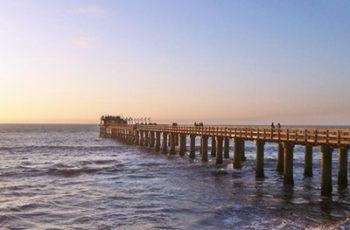 Leisure day in Swakopmund, or spend the day exploring up the Skeleton Coast. 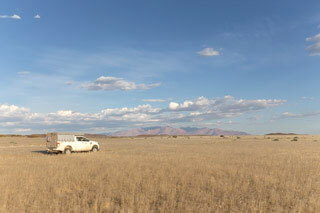 Travel south to the Namib-Naukluft National Park, the largest game park in Africa and the fourth largest in the world. 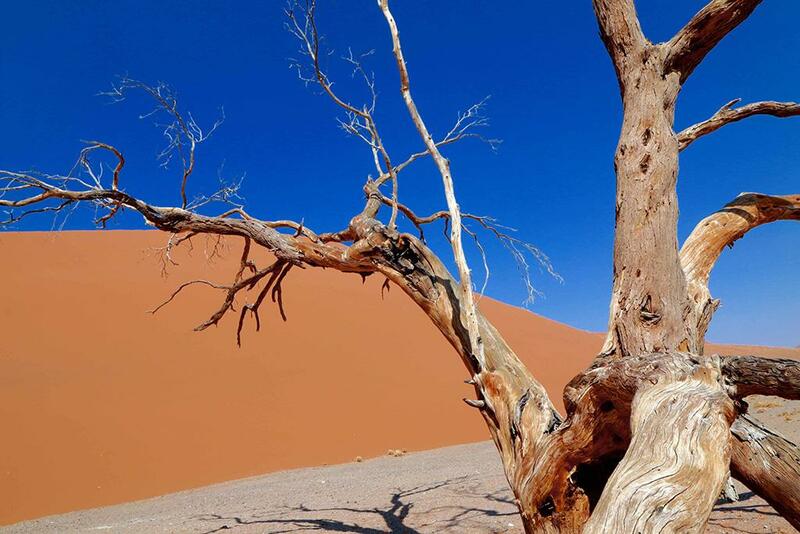 Here you’ll find the gateway to the world-famous Sossusvlei at Sesriem Canyon, where the Tsauchab River has shaped the surrounding rock over millions of years and remains one of the very few places in the entire region that holds water all year round. The early Afrikaans explorers in the region named the canyon as a result of having to use six (“ses”) leather straps (“riem”) tied together to create a rope long enough to lower water buckets into the canyon below. 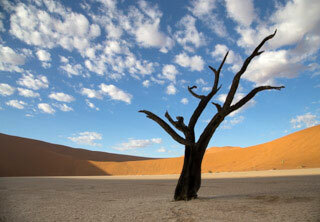 Excursion day to Sossusvlei and Deadvlei possibly Namibia’s most spectacular and best-known attractions. 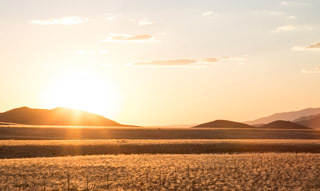 Framed by huge, red surrounding dunes, the pans are an essential part of any journey through Namibia and are especially beautiful at dawn and dusk, providing wonderful photo opportunities. 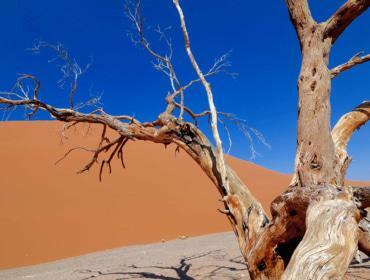 Deadvlei’s skeletal camel thorn trees are estimated to be approximately 900 years old, towered over by Big Daddy Dune, which at almost 400 meters is one of Namibia’s highest. 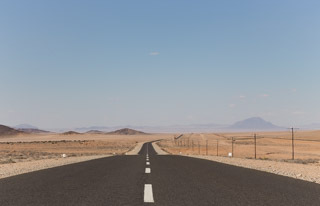 Head south on the most scenic and spiritual road you’ll find anywhere in the world, en route to Aus and the southern Namib-Naukluft National Park. 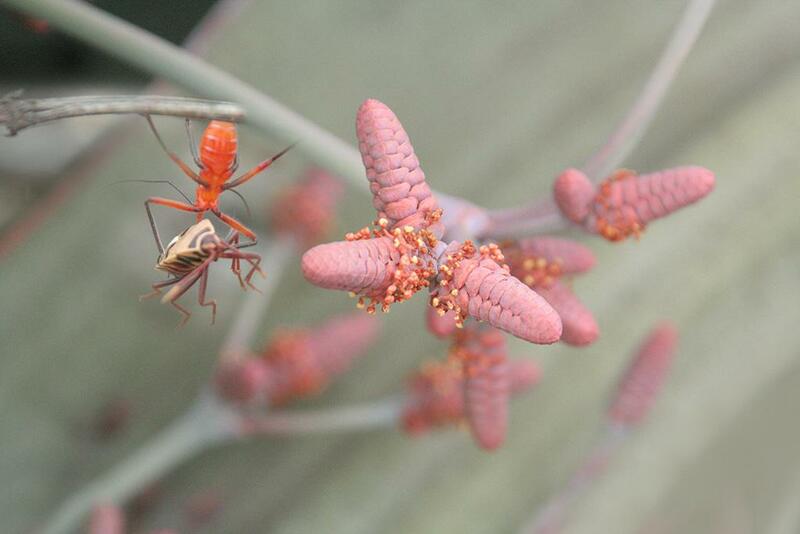 Here you’ll find the most bio-diverse desert on earth and your home for two days. 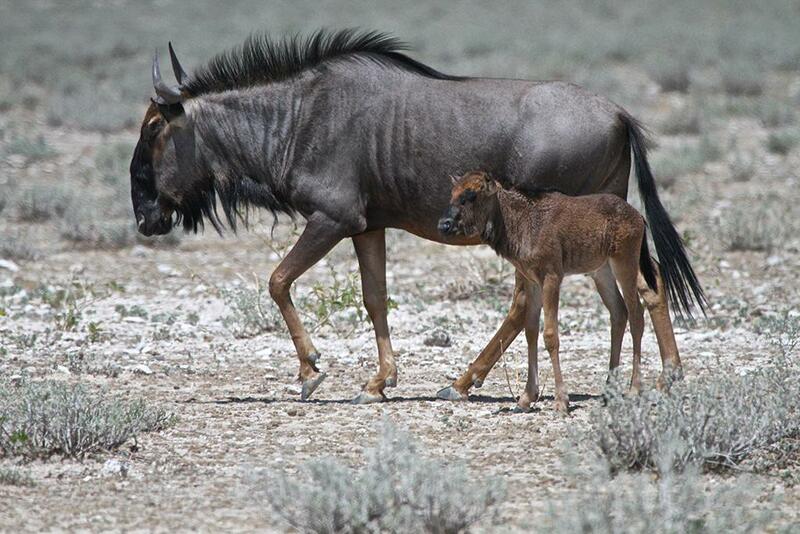 Wild Namib horses roam the sparsely vegetated plains in small herds. 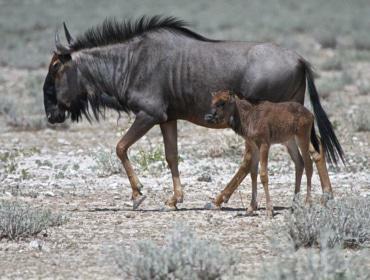 Over the decades they have conquered the desert as their habitat, drinking from a rough trough at Garub, some 20 km west of Aus. Make your way to the Garub’s secluded hide, for the best views and photos. 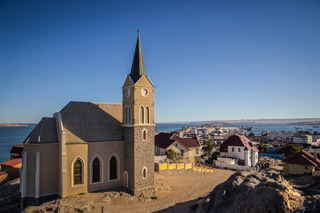 Excursion day, to the harbour town of Lüderitz which Portuguese seafarers first visited more than 500 years ago. When diamonds were found in 1908, a little town with grand mansions rose from the Namib Desert, but soon faded back into windblown obscurity. This deserted diamond settlement of Kolmanskop now offers endless opportunities for extraordinary photographs. 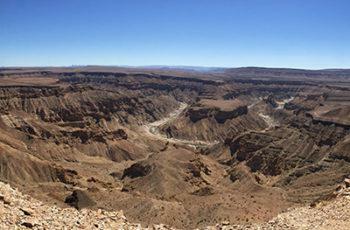 The Fish River Canyon is the largest canyon in Africa, as well as the second most visited tourist attraction in Namibia. It features a gigantic ravine, in total about 100 miles (160 km) long, up to 27 km wide and in places almost 550 meters deep. 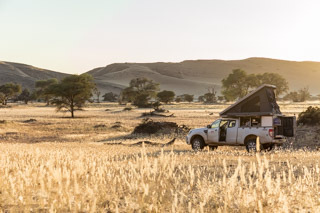 Winding down your adventure you head north to the Hardup Dam for your last night on the banks of the biggest dam in Namibia, in the heart of the Kalahari bushveld. Sadly, all good things come to an end. 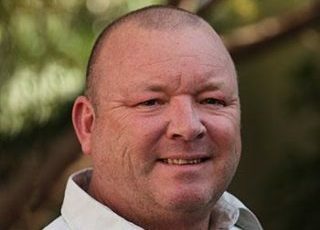 It’s time to return to Windhoek, drop the 4×4 at the airport and fly home.